The Good, The Bad, The Truth. Don’t be fooled by $88 coupons!! 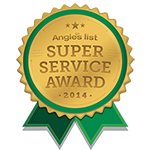 DRX Duct Cleaning’s air duct cleaning in North Plainfield and Bridgewater, NJ is ASCS certified, trained, and proud members of the NADCA and the Indoor Air Quality Association. 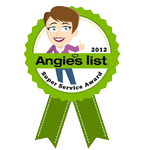 Our #1 goal is to educate our customers about Indoor Air Quality and Air Duct Cleaning 101. 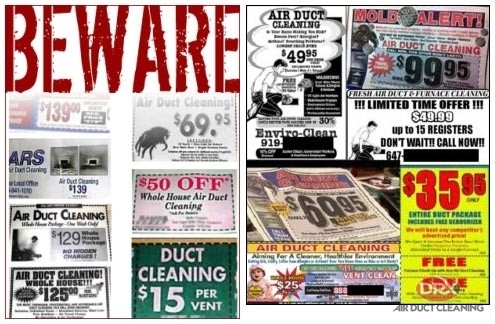 Most customers are being scammed by duct cleaning companies in North Plainfield and Bridgewater, NJ and are now becoming aware that indoor air quality and learning about Duct Cleaning 101 in North Plainfield and Bridgewater, NJ is an issue of concern. Many companies are promoting different services and products aimed at improving air quality. Many of these low priced advertising come via internet, coupons and clipper magazines all offering to cleaning your home for one low price, but only to be scammed over on the price and service when these technicians arrive. As per the NADCA and EPA: Did you know that air duct cleaning can cost, but not always, from $450 to $1,000 per one HVAC system? These also depend on the size of the system and the service being offered. The NADCA and the U.S. Environmental Protection Agency (EPA) urges you to read these Questions and Answers in its entirety as it provides important information on the subject of Air Duct Cleaning. The NADCA and the EPA are the 2 governing bodies of this industry. The air we breathe indoors has turned into an increasingly significant environmental concern. The duct work in your HVAC system can provide to this problem if the duct work is not correctly cleaned. DRX Duct Cleaning New Jersey urges you to read and learn about Duct Cleaning 101 with these real facts that have been strong-minded by accepted establishments in the areas of well-being and air quality. The hazardous levels of indoor air quality have been found to be up to 70 times worse than in outdoor air quality. The average 6 room home collects 40 pounds of dust each year. 50% of all illnesses are either caused by or aggravated by, polluted indoor air. One out of six people who suffer from allergies does so because of the direct relationship to fungi and bacteria in air duct systems. 10-12 million Americans suffer from asthma. How SAFE is the indoor Air You Breathe? Indoor air pollution is a real health danger affecting the majority of Americans. Scientists claim it is linked to more than half of all sicknesses. Regular home pollutants include pollen, dust, mold, and insect fetuses. Air systems are ideal collection areas for airborne waste like dust and mold spores. The damp, temperate atmosphere is an ideal home for fungi and bacteria to grow. Many groups are now alert that indoor air fumes are an issue of rising concerns and better visibility. DRX Duct Cleaning in New Jersey can help! The elimination of such contaminants from the HVAC system should be considered as one factor in a general plan to improve and address your indoor air quality. But doing the job successfully requires the correct combination of advanced technology and attention in workmanship. 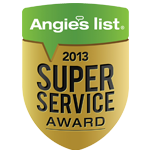 DRX provides quality Air Duct Cleaning solutions in North Plainfield and Bridgewater, NJ. Updated on September 24, 2018 at 8:58 pm by DRX Duct Cleaning.